I made my first pie when I was a teenager. I knew my mom particularly liked pie of all kinds. 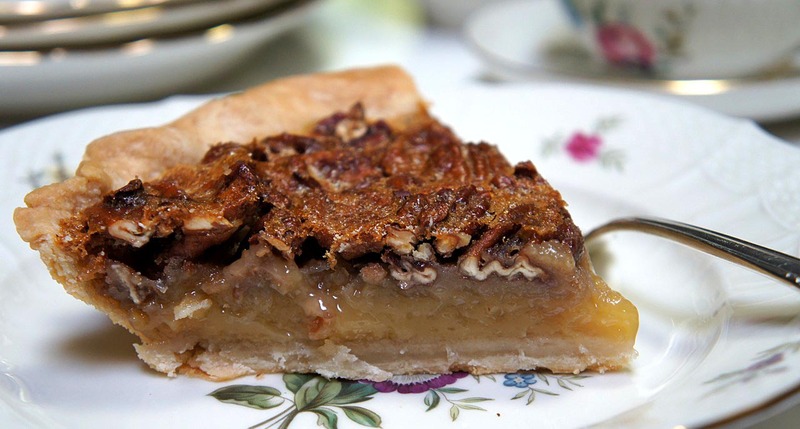 Mom was a full-time Registered Nurse besides being mom to four fairly rambunctious kids and while she had dinner on the table every night, dessert like pie was a luxury her time could rarely afford. As a precocious 16 year-old I had no idea that pie crust was known to be “difficult” to make and that bakers around the globe talk about the secret to making a perfect pie crust. I only knew mom liked pie and I would make one. Back then, the filling always came from a can of cherries or apple pie filling I would find in her pantry. 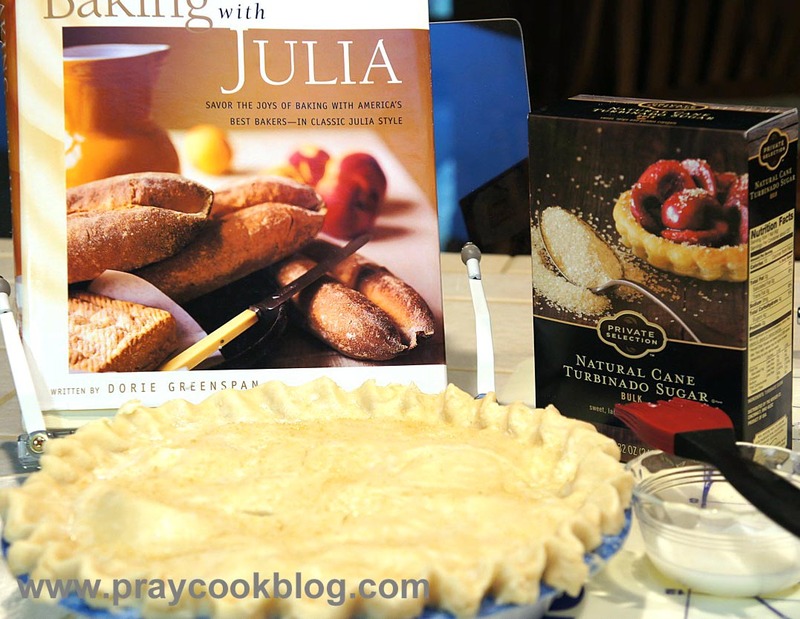 The pie dough came from a simple recipe I found in a cookbook — belonging to my mom! 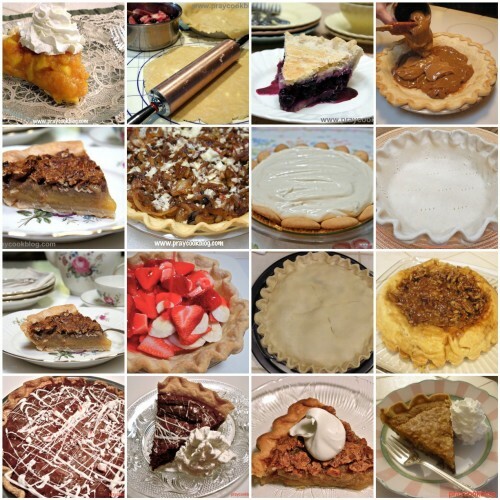 I now have a collection of a half-dozen or so pie crust recipes I have made ranging from 4 to 7 ingredients! But honestly, none gives me the consistently tender-crisp and flaky dough I found in Dorie Greenspan’s book, Baking With Julia. Once I made this pie dough I knew there would be no other for me. 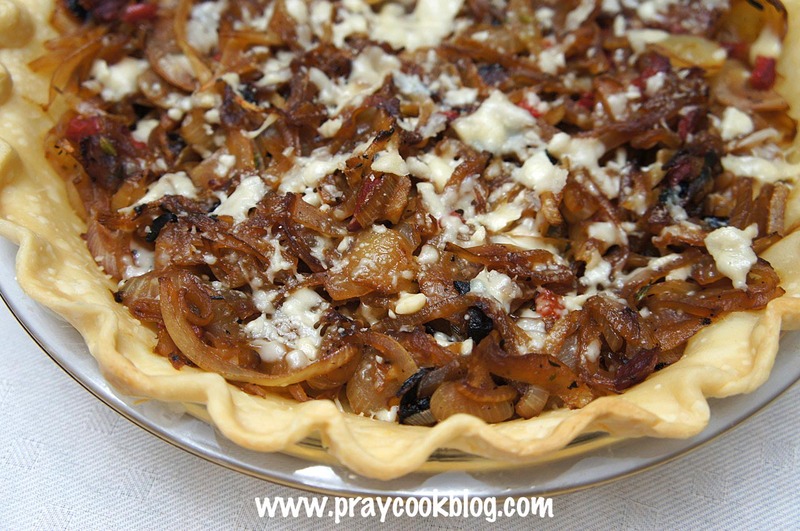 The butter provides the flavor while the solid vegetable shortening provides the flaky crust. This dough can be used to make a pie or tart, sweet or savory, plain or fancy. It can be made by hand, in a food processor, or a mixer. How flexible is that?!! This recipe makes four 9″ or 10″ pie crusts, enough for 4 open-faced pies or two double-crusted pies. At first it seemed like too much dough to have on hand. But I quickly learned that it freezes exceptionally well for up to a month (and probably a little more.) The recipe can also easily be cut in half. 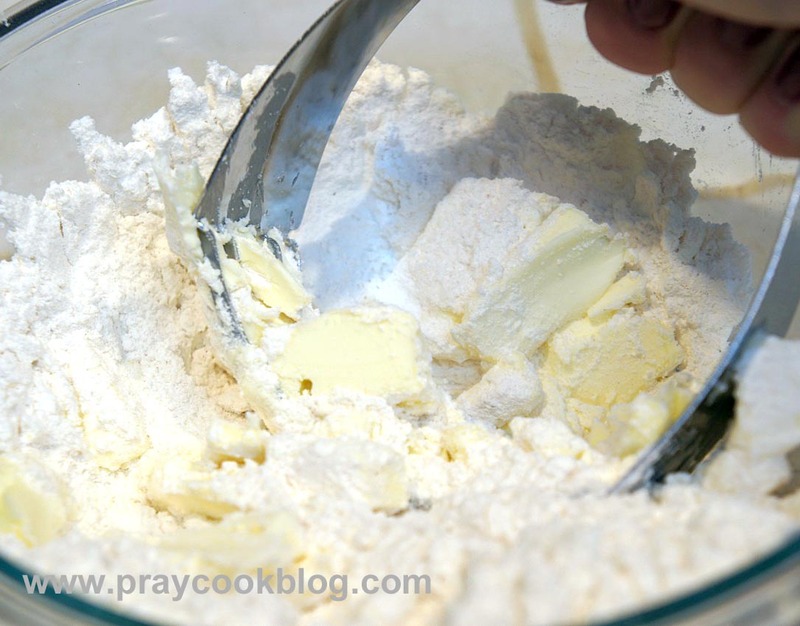 The recipe outlines the method for making the flaky dough by hand, by mixer, or by food processor. 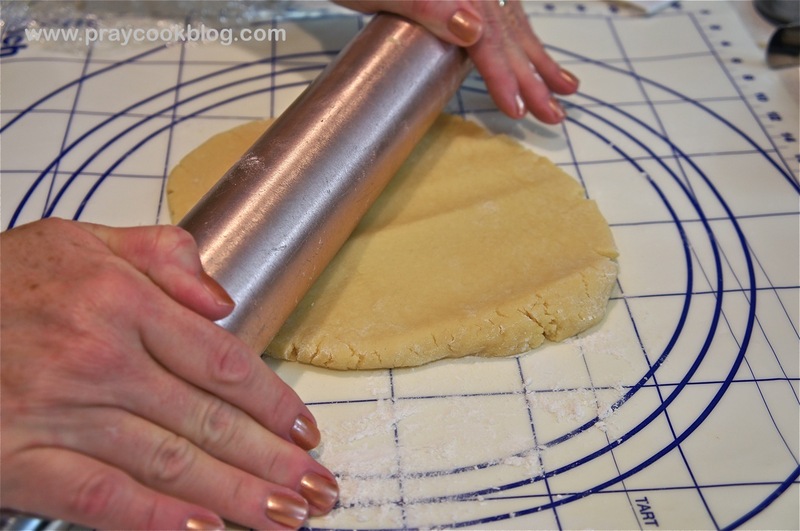 I typically like to make pie dough by hand so I can feel the texture and not over-mix it. Here it is, easy as pie. Four steps. 1. 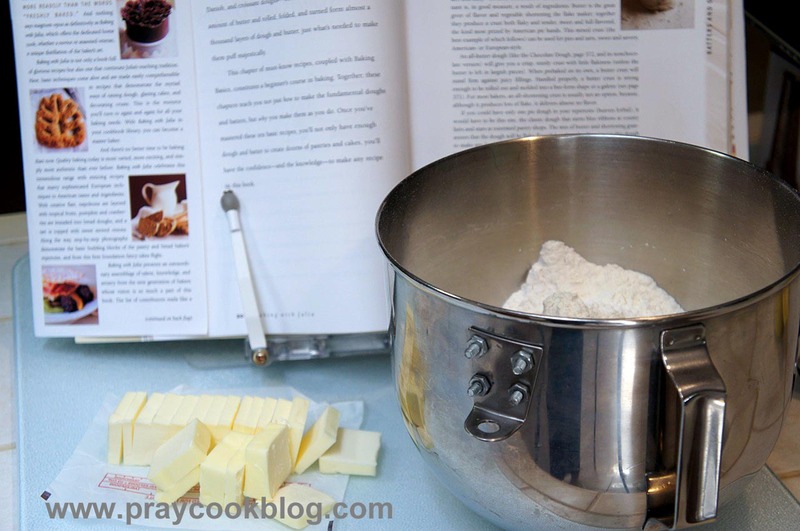 With a pastry blender, cut chilled butter into the flour and salt until the mixture looks like coarse crumbs. Cut the chilled shortening until it forms curds. 2. Add the ice water gradually and toss to blend. 3. When the dough is sufficiently moist — pinch it – it will stick together. 4. 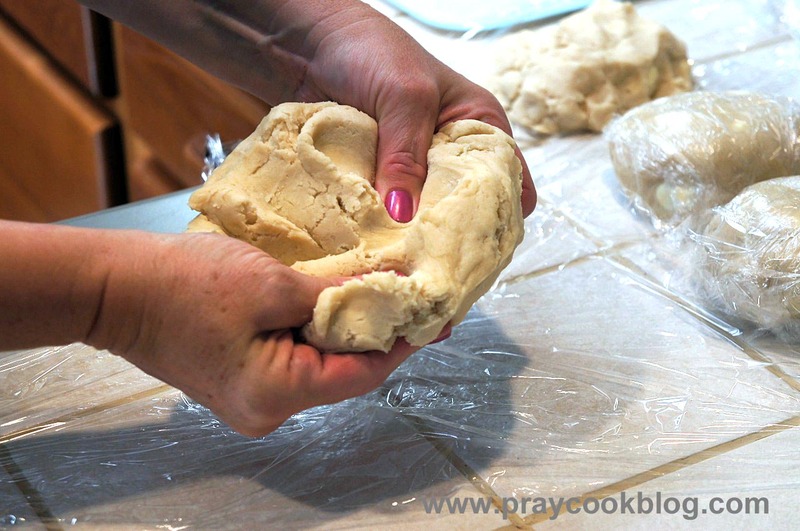 Lightly gather the dough into a round and chill before rolling. View the recipe and PRINT from my Tasty Kitchen Recipe Box. 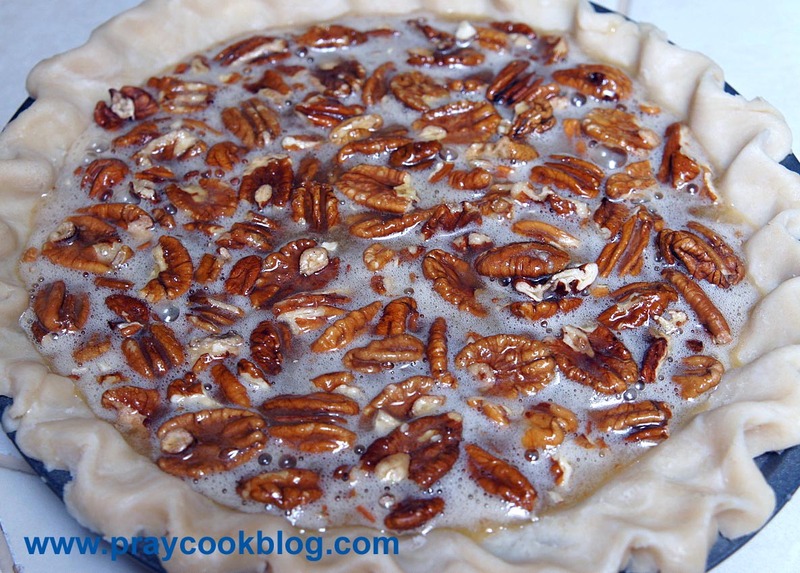 Part 2 will be all the tips needed for making the perfect pie dough. Stay tuned …. James 1:5If any of you lacks wisdom, you should ask God, who gives generously to all without finding fault, and it will be given to you. Hi Catherine, Found you today and am so pleased to learn of your wonderful pie crust. I have never been pleased with mine so I will gladly try this one. I will let you know how it comes out. Thanksgiving is soon so I will be doing lots of pies then. I am looking forward to all my children coming home ! Fondly, Gayle H.
Hi Gayle, thank you for leaving this comment. I am so glad that you will have all your family together once again at Thanksgiving! 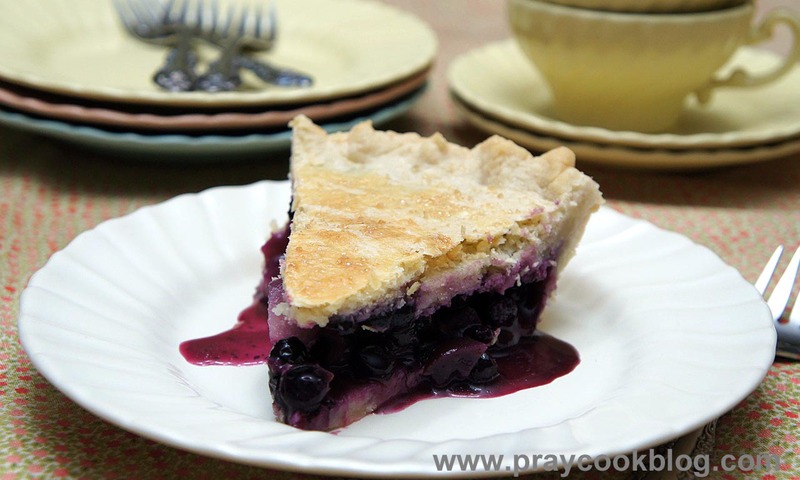 I hope you find this to be a good pie crust recipe. I sure like it! God Bless!